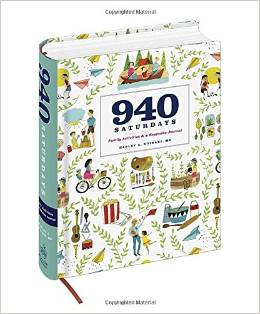 I saw a book this past week entitled 940 Saturdays. Apparently that is the number of weekends that will pass between your child’s birth and their 18th birthday. Wow, just 940. Undoubtedly some of these weekends will be spent on vacation or having birthday parties and celebrations, but most of these weekends will probably pass by without thought or reflection on their importance and scarcity. This little book was another wake up calls for me that Team Too Busy (that is our nickname now, as you know…) needs to STOP. REFLECT. ENJOY. and FIGHT FOR OUR TIME AS A FAMILY. There are so many distractions today from smartphones and apps to grad school and grown up responsibilities, but I want to fight for each of our 940 Saturdays together. Whether our time is spent in Monterey, CA catching a killer wave or catnapping on the couch in small town Georgia, I WANT OUR TIME TO MATTER! We woke up early (as usual) and set up Addie’s new play kitchen. This is actually her Christmas present from Mimi and Papa, but they couldn’t wait for her to try it out. Next, we made our way to Christine and Jared’s Gender Reveal Party. Surprise! They are having a BOY! Finally, we made our way back home to spend some family time with Waring’s cousin’s family and the grandparents. Addie felt pretty lousy still from getting her flu shot yesterday, but we still managed okay. We made Christmas salt dough ornaments, handprint bulb ornaments, finger painted crosses, and watched the Elf on the Shelf movie, and topped it all off with hotdogs and S’MORES!